Lack of broker knowledge is still holding up second charge lending volumes and could play into a Financial Conduct Authority cull of unused regulatory permissions, according to experts. Last week, the FCA said it will contact firms that do not use their regulatory permissions and is prepared to cancel them. In a document, the FCA justified the information it requests in its retail mediation activities returns. The regulator says that some of the information it requests lets it work out which firms are not earning income from activities demanding permissions. The regulator says it will pay “particular attention” to investment firms that do not use permissions for a year. However, the FCA will also oversee how firms use permissions in other areas of financial services, including mortgages. In the mortgage broker space, there is a significant gap between those with second charge permissions and business written in the sector, based on the volume of firms who applied when the market became regulated. One attraction for brokers is that getting second charge permissions lets them call themselves ‘independent’. The FCA says that 2,021 firms applied for permission to advise on second charges by April this year, out of a total of 5,051 that have first charge mortgage advice permissions. The 5,051 figure does not include network brokers. But the level of second charge lending suggests many brokers are not recommending the loans. 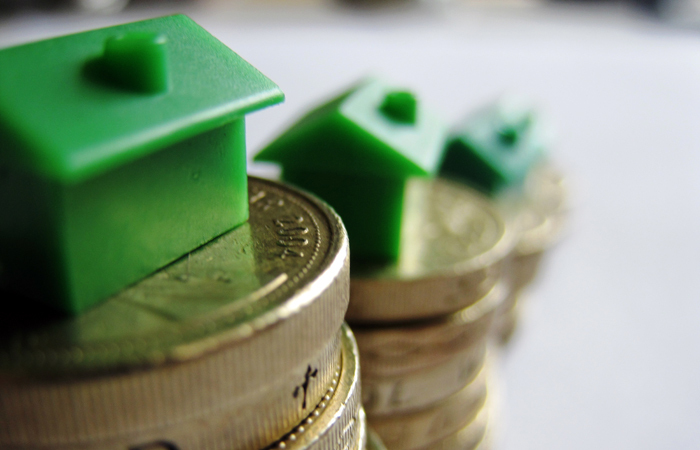 New business volumes in the second charge mortgage market shrank by 15 per cent year-on-year in October to £71m, according to figures from the Finance & Leasing Association released last week. Second charges fell 22 per cent by volume in the same period. Early last month master broker V Loans announced it would close following “significant transition” in the second charge market since the Mortgage Credit Directive came into force. Industry experts question the level of danger to consumers of unused second charge permissions. Key Retirement director Dean Mirfin says one way for brokers to demonstrate second charge competence is to sell the product regularly. He adds that consumer understanding of seconds is still low. He says: “There is still a way to go before consumers are aware of second charges and brokers are still learning where they are applicable. There are cases where a second charge would be a better option but customers are often only being offered a remortgage. But there is also a risk to consumers when brokers sell second charges without proper knowledge, which the FCA might not easily pick up on, argues Positive Lending chief executive Paul McGonigle. Hi Liam ; think your phone number is a digit short. Frankly I think this is utter tosh. I always considered second charges even before all this regulation and the number of times it is a better bet is microscopic. Yes, of course there can be reasons; customer tied in etc but I virtually always find I do better sometimes advising extra advance from existing lender with no remuneration to me of course. Just done one last week ; an absolute no brainer especially as the existing lender were happy to use an inflated on line valuation which no valuer would give in years. All I am doing is wasting master brokers time as you are generally looking at 10 per cent upwards against mortgage rates. I take part of your point, often times the second charge is not the best route, and frankly I agree with you, why on earth would you advise a client to take a less favorable route? However, rates start at 3.88% on seconds presently, with typically around 6% being the mean figure, so perhaps you are labouring under a misconception believing that rates are typically 10%. Yep, Have to agree with Des, not sure who was ever ‘recommending’ large quantities of secured loans, the rates and fees were atrocious, and in so many cases the client was better off with a further advance or a new mortgage elsewhere. I can only assume unscrupulous advisers were recommending them ‘instead’ of referring the client back to their current lender, simply so they could get paid, which is an awful thought, or they were taking advantage of the fact that second charge lenders offered different more flexible criteria, meaning that in some cases a client would get a ‘Yes’ for further borrowing from a lender on a secured loan, when their current lender had turned them down. I know for a fact affordability checks for example, were less stringent prior to the latest review, and this is why actually this market is now suffering, because they have had to come in line with affordability and don’t have any clever ‘work arounds’ anymore. That said, they have their place, and my firm was one that opted to continue to offer them so we could keep our independent status. As a result we have to provide countless additional quotes to our clients to demonstrate when they are not applicable and to evidence the reasons why. All very time consuming and confusing for the clients, but on the upside they may begin to appreciate why we charge fees! Certainly those with heavy penalties or those with really excellent lifetime tracker deals, do need to advice and costs comparisons for the options of new mortgages v secured loans and/or returning to their current lender. And on that note lenders themselves could be more proactive in retaining this type of business if they offered Brokers a Proc Fee on Further advances, which only a small few do…………………. Thanks Liam and Samantha for your replies. Over my ten years as an independent, I think I’ve done perhaps three or four . I probably only get three or four requests per year for further borrowing and perhaps on about one in ten occassions it is appropriate in the sort of circumstances Samantha describes. I had one with a long term tracker earlier this year but even there, the remortgage rates were just so good that it was a better bet overall . It worries me that FCA could cancel permissions if firms aren’t writing them ; surely that should only happen if the broker is seen not to be recommending them. Yes, Liam I know the rates can start there but in the cases I’ve offered to master brokers , they have not been anything like that; indeed on one recent one, the client obtained a better rate on an unsecured personal loan. Hi Des, if you are free on 26th Jan pop along to one of our masterclasses in London. You’ll hear around half a dozen live examples of where a second charge was clearly the best advice for some very compromised clients. You will hear a presentation from Precise Mortgages who are one of the top lenders in the second charge market and helping drive down costs whilst also helping to raise broker awareness. Your opinion was not uncommon among brokers we speak to but if you need an email address for what they now think after dealing with is i will happily supply it to you.